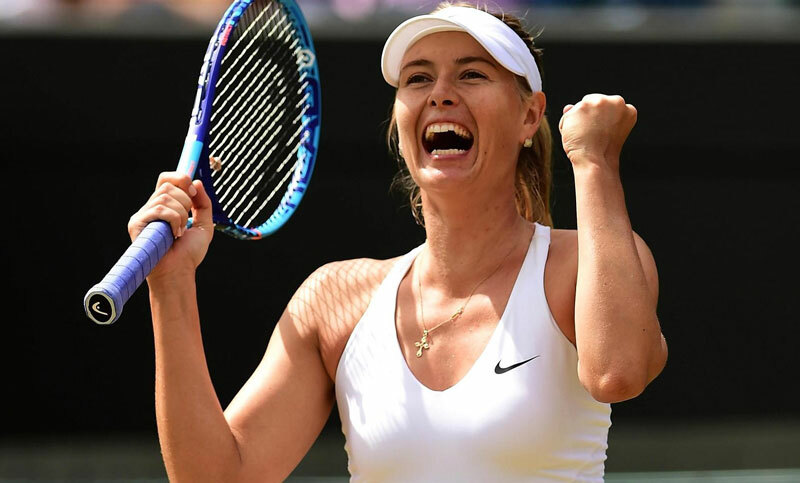 Former champion Maria Sharapova overcame a mid-match wobble to beat Richel Hogenkamp 6-1 4-6 6-3 and reach the French Open second round. The Russian former world number one looked to be cruising against the Dutchwoman when she was 3-0 up in the second set, but then lost four service games in a row. After going a break down in the third, she won six games in a row to advance. Third seed Garbine Muguruza also went through, beating Svetlana Kuznetsova. It was a tricky first-round draw for 2016 champion Muguruza against another former French Open winner. After a 90-minute rain interruption at 5-5 in the first set, Wimbledon champion Muguruza took control and triumphed 7-6 (7-0) 6-2. Kuznetsova of Russia, who won the title in 2009, pushed the Spaniard hard but was undone by Muguruza's attacks at the net. Former world number one Muguruza will next face French wildcard Fiona Ferro, who stunned German Carina Witthoft - a player ranked almost 200 places above her - 6-4 6-2.